Looking back on Angelo Calvello’s Environmental Alpha, one is struck by the prescient points that still resonate in a modern context, even though the field is rapidly evolving as we speak. For example, the opening sections on climate change predicted almost exactly what has occurred since the book’s publication in 2010, hence giving further validity to longer-range concerns about pending climate catastrophe, which investors now need to address. Richard Betts said, “The effects of our CO2 emissions have not yet been fully realized, partly because of a feedback mechanism of carbon uptake by the biosphere and partly because fossil fuel burning also produces aerosol particles, which exert a cooling effect by reflecting sunlight. Continued emissions of GHGs are confidently expected to lead to further warming, resulting in further sea-level rise and rainfall pattern changes with consequent impacts on society” (p.29). This is pretty much exactly what has happened—changing weather and record-high global-average temperatures in 2014 and 2015 have contributed to increasing concerns about future directions, while raising the need for environmental considerations within all investing. It’s also exactly the theme of this book and what Calvello called for. Dimitri Zenghelis strongly suggested, “Delayed action will eventually be the antigrowth strategy,” (p. 51); again, exactly where we appear to be headed, towards a clash of energy consumption and climate change realities that can only be walked back through positive intention and investment action. David Gardiner’s view on policy also still resonates, foreseeing as he did that “there will never be one single uniform international climate response” (p. 75). Rather he saw coming what just happened at COP21 in Paris, a “large and varied set of policy approaches utilized by different actors” (p. 75). While we have a deal out of Paris, it is, in effect, a collection of different approaches and commitments playing out, even within countries such as Canada, where each province will take a different approach to pricing carbon, for example. Part One of Environmental Alpha, as a result, stands as a testament to how prediction can lead to investment expectations that can be prejudged. And, standing here as we are in 2016, we can see that the value of looking forward, as Calvello also argued was critical, becomes even more mission-critical as the list of global environmental risks and exposures only grows in relevance, encompassing fresh water, local pollution, greenhouse gas emissions, their regulations, and more. Over the next five years, getting these things right will be increasingly relevant for shareholder value and societal outcomes. The rest of the book is filled with essays from thought leaders whose work has only evolved. Mindy Lubber wrote on emerging risks, including the physical risk of drought and the competitive risk to utilities. Of late, the work of CERES, where she is president, has gone from strength to strength. 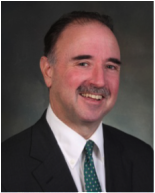 Paul Watchman’s overview of fiduciary duty represented an evolving body of work that continues to grow in relevance, as reflected in the development of investment beliefs by asset owners and in the late 2015 Department of Labor ruling clearing the way for more applications of ESG within investments. Matthew Kiernan, as always, makes a cogent plea for more positively focused sustainable investing: A dynamic we have also long written on, and which retains potential to create a better society through a race for capital. Value investing has emerged as the winning formula, with outperformance demonstrated by Generation and Parnassus, and through the Value Driver Model body of work and other examples in academic literature that look at performance. Additional investment and policy strategies are also highlighted throughout the book and are useful to look back on. So is the discussion on the potential for collaboration between investors, which has had arguably the most resonance to date, whether through PRI or CDP participation or in record levels of shareholder resolutions against management on climate change. Much more work, of course, is needed, but this earlier book set a foundation for where we are now, and where we next need to go. In this regard, we are very proud to provide you with this latest issue of the JEI, which attempts to do exactly that, provide a look forward from a variety of perspectives. 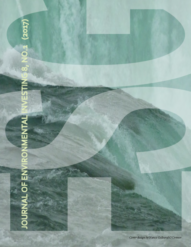 In particular, I am proud that my own teaching and association with Yale University has helped lead to four of the perspectives included in this issue: the inadequacy of deforestation standards and what can be done about them; a look at the challenges to industry-led scaling of low-power supply; a review of climate investment; and a look at socialism, price, and sustainability from Juan-Victor Seminario and Todd Cort. I had the honor of collaborating with Cort, of the Yale School of Management, on a recent piece for the Financial Times in which we called for better standards and quantification of benefits on green bonds and on investment in general. If we don’t do our proper due diligence, then environmental investing could become its own form of greenwashing, so we need to do this job and do it well. In general, we need to look forward, to predict the future, or risk being stuck with old ways of business and investment. Science tells us the latter will be disastrous for society and therefore for value—half the value of investing is potentially at risk, according to the University of Cambridge. Environmental investing itself, then, becomes a necessary hedge for the needed state of the world as well as for maximizing value in general. Making this happen is our job.